Today I was debugging ASP.NET website and got very annoying issue. The website has file download feature and anytime I download the file IE9 couldn’t open it – the file was missing before the PDF application could open it. It did work on FF and Chrome. I have cleaned-up Temporary Files directory and also ASP.NET temporary files (C:\Windows\Microsoft.NET\Framework\v2.0.50727\Temporary ASP.NET Files) but no luck. Later I realized that by changing the debugging port for ASP.NET Development Server to any new number solved the problem. But I didn’t believe that it’s the real solution. 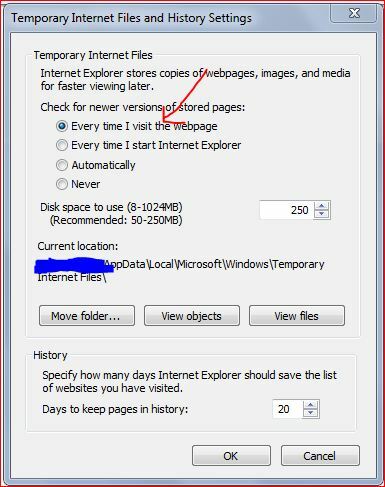 Then after playing with IE settings a bit I found that this setting caused the problem. It was set to Automatically by default. 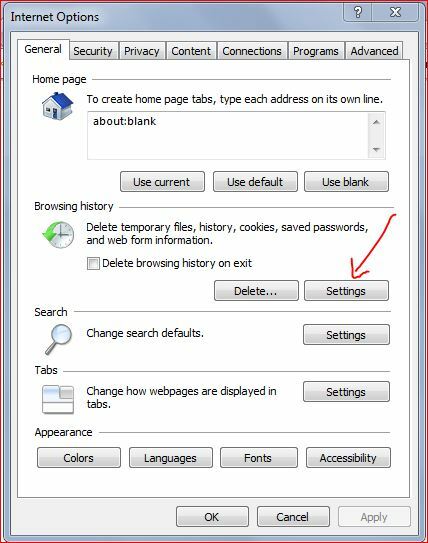 You can set it to Every time I start Internet Explorer but I prefer Every time I visit the Webpage for my need, both will work. Hopefully this will help anyone having the same issue as I faced.